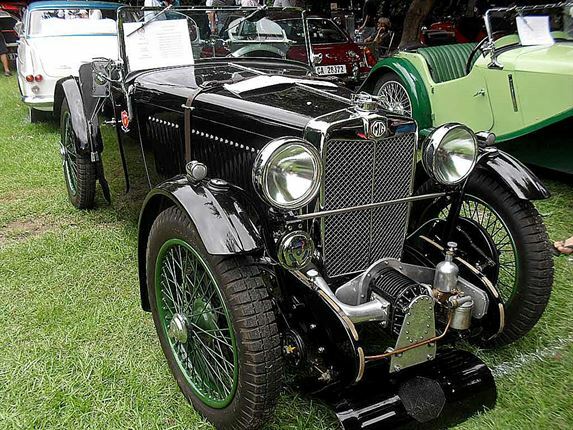 1934 MG J2: That’s a Marshall Supercharger poking out of the front of this classic two-seater. 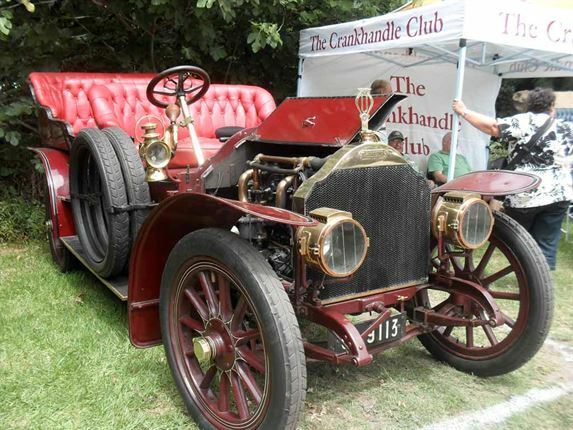 It’s 750cc of practical fun! 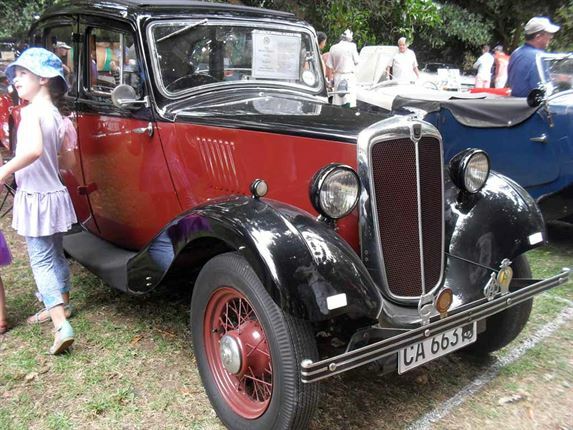 1935 MORRIS 8: Popular two-tone family runabout. 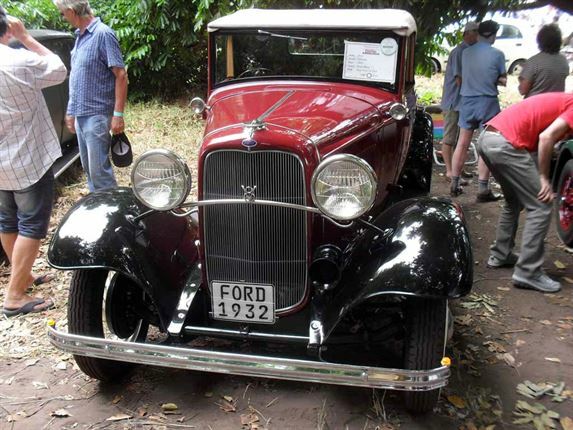 1932 FORD V8: America’s finest Cabriolet. 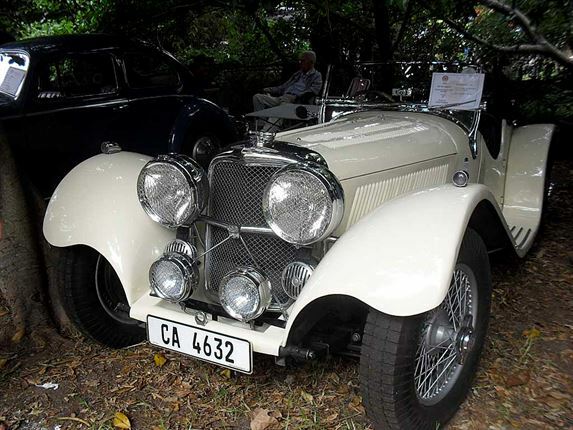 LORRAINE-DIETRICH: Quality veteran from a bygone era. 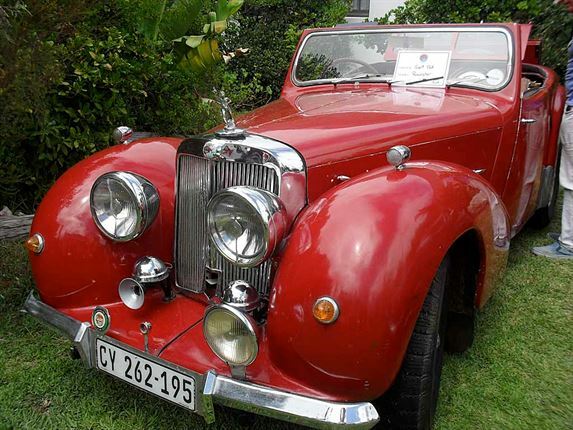 1950 TRIUMPH ROADSTER: Original patina shines through. 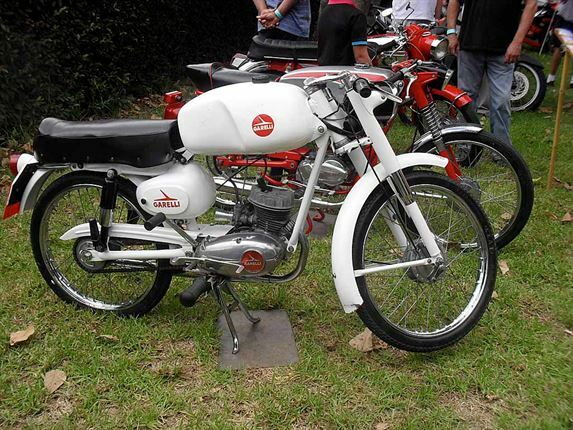 BUZZ BIKE DELUXE: Garelli 50 … every schoolboy’s dream in the 1960’s! 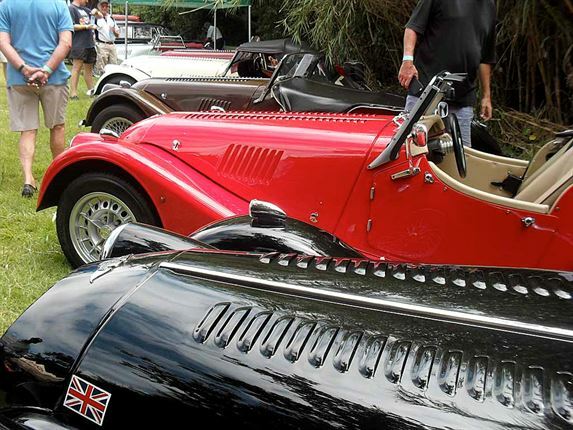 MORGAN ROADSTERS: Plus Fours and Plus Eights drooling for Cape Passes. 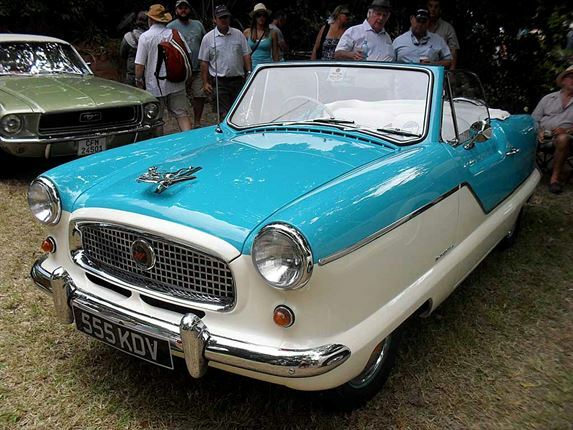 AUSTIN NASH METROPOLITAN: Art Deco, Brit-style. ANTIQUES ROAD SHOW: 1957 Morris Minor convertible. 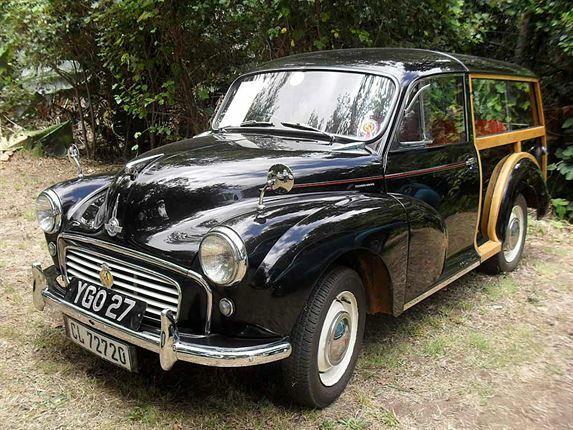 WORLD TRAVELLER: Morris Minor Shooting Brake from the mid-1950’s. 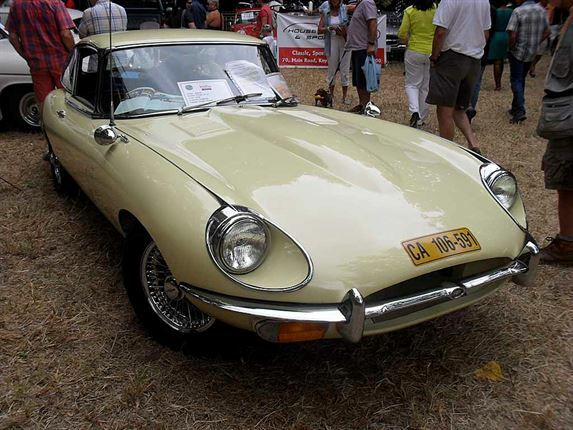 E-TYPE JAGUAR 2+2: Was there ever a better-looking sports car made? 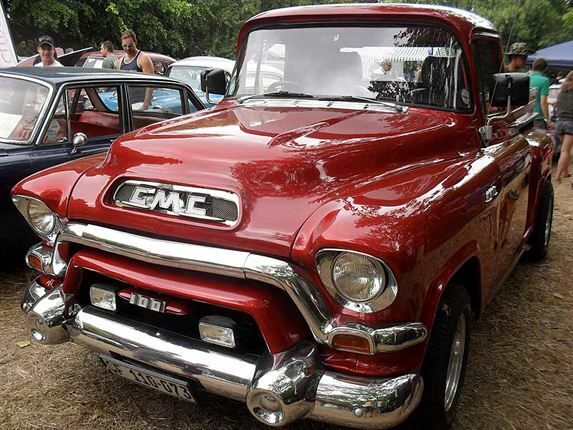 GMC PICK-UP: Quality American one-ton toughie. 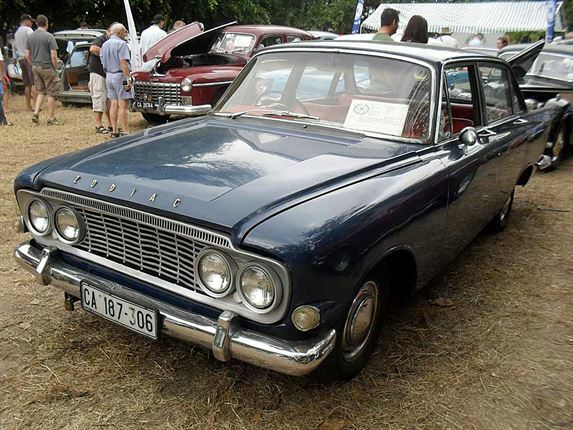 SIGNS OF THE ZODIAC: Ford chariot that sold right around the world. 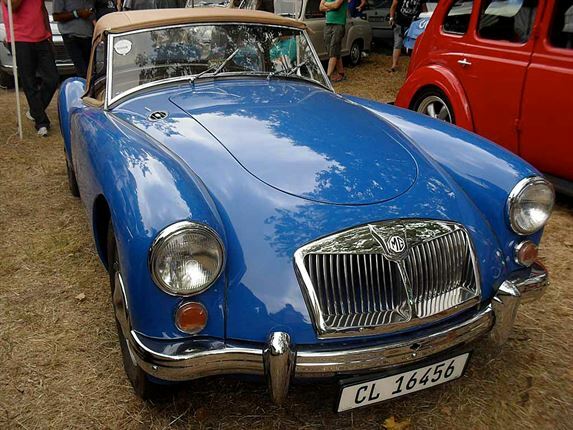 MGA ROADSTER: Affordable roadster, 1600cc of civilised transport. VALIANT’S REGAL: This one from 1968. Superb, smooth, long-distance limousine. 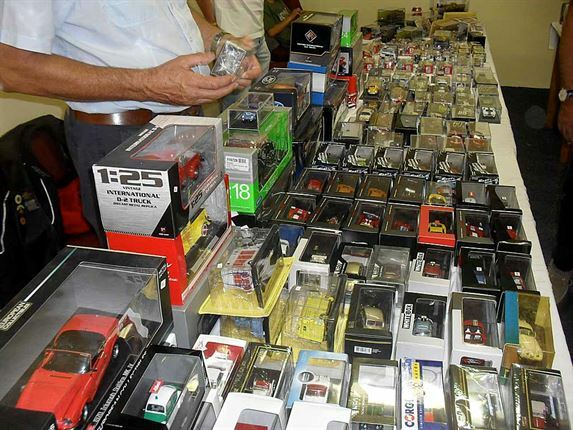 DINKY SIZE: No car show is complete without the chance to buy your favourite car or motorcycle in miniature.